Buying the right residential property is one of the best investments you can make. Management One First Choice has an abundance of experience in purchasing investment properties and we can help you accumulate properties for your Real Estate portfolio. While buying the property at a good price, in a good location and in a favorable rental area is important, the experience and knowledge of the management company who will be managing your investment property is of equal if not more importance. Management One First Choice’s team, collectively, has over 125 Years of experience in leasing, making properties rent ready and managing thousands of properties. Q. If I am interested in buying a property, what would be my first step? A. Contact the Management One First Choice Property Management Broker/Agent and they will set an appointment with you to go over all of their services from finding the property, showing you the best areas to buy in, making the offer, setting up your financing, taking it through escrow and then pre-leasing the property at the end of escrow. Q. 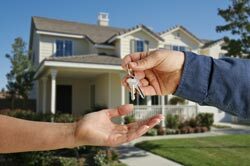 Can I buy additional properties if I already own rental properties now, with financing the way it is? A. If you own over 10 properties, you will need to find alternative financing sources, (e.g. seller financing) as most conventional lenders today will not lend to investors who own more than 10 properties. Q. Does Management One First Choice charge for their Certified Rental Analysis showing local rental rates before I buy? A. We provide the Rental Analysis at no charge to you. Contact our office at 402.827.1490 to speak with our Business Development Associate. Q. How about if the property needs to be repaired and fixed up before it can be rented – how does that work? A. Management One First Choice has a number of pre-screened, pre-qualified contractors and repairmen that will not only do the work, but will give you an itemized breakdown of those repairs with fixed prices before they begin work on the property. Q. Where should I have spent most of my “repair” money . . . on the inside or outside of the property? A. Management One First Choice, with our experience in making over 10,000 houses rent ready, will be able to guide and advise you exactly where to invest your dollars to get the most “bang for your buck” so that your new investment will help your property rent as quickly as possible for the best possible price. Q. If I wanted to get started, what is my next step? A. Contact our office at 402.827.1490 and speak to our Agents in Business Development or e-mail us at na@mgtone.com.